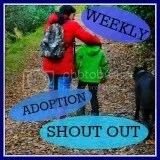 I tweeted recently, wondering about how or where adopters can go for support if the relationship with their county’s post adoption department breaks down. Peer support is great but realistically other than a listening ear from other mentally and physically exhausted parents experiencing the same difficulties, there isn’t much they can do to help. Adoption UK is a great place for facts and sign posting, but they can’t help you access the adoption support fund or attend meetings or offer respite or therapy. Someone suggested approaching a local voluntary agency, and whilst I’m confident they would like to help, realistically who would fund them to support an adoptive family that’s not on their books. So where can we go, when the relationship breaks down with your local support service it seems there is no where else to go. Our own county has 1 manager and 2-3 actual social workers who work alongside 2-3 family support workers. When the newly assigned social worker told us that child on parent violence was normal teen behaviour and we needed generic parenting training our confidence in her was lost. When their manager backed her up and agreed the issues we were experiencing didn’t fall with the post adoption remit, we lost all hope. When the generic local parenting support team that they referred us to said that the difficulties were experiencing were way beyond anything they could help with, we were left feeling abandoned by the very services that were meant to be supporting us. So where do we go?! When we need someone to help school understand attachment and trauma (because we all know schools don’t listen to us measly parents), where do we go? When we need therapeutic advice or support services, where do we go? When you’re confident almost all members of your family are suffering some kind of ptsd, where do you go? When your children are experiencing difficulties managing their feelings, where do you go? When you need support for siblings, where do you go? There is no where. The system designed to support us does so conditionally, there’s no plan B. ← Baby steps (part 2 if I’ve used this title before?!). I’m so sorry you are at this point. I’m not sure if you have already exhausted these options but have you tried your MP, the leader of your council, chief executive,..local media?! This is an important issue. Thank you for raising it. With the huge increase in SGOs in recent years, having the local authority’s adoption and fostering teams as the sole gatekeepers to therapeutic support via the ASF is a very bad idea. It is likely to deter many families from accessing much-needed support for some of our most vulnerable children. Many Special Guardians have extremely negative experiences of assessment by local authority social workers, who may well have argued for the break up of the family by adoption – in many cases in court and at great emotional and financial expense to those who are now parenting the children. A large number of families have started their special guardianship in debt, having had to sell their homes and more to pay the cost of fighting the local authority in court for their kids. Realistically those families are not going to seek support from people they do not trust (putting it mildly) and who may, in turn, have very negative feelings towards them. The Government needs to address this. Pronto. Before a great many children have fallen through the net. It’s so much easier for SW to brush off the violence as bad parenting than admit more is needed. Shame on them! It is!! Funny how my other 2 children aren’t affected by my terrible parenting isn’t it. The generic parenting support team they referred us too said they couldn’t provide us with anywhere near what we needed. So where did that leave us?! Case closed by both departments and us just left to it! Appalling. I know parents with autistic teens who struggle with this issue (child on parent violence),even when their children are not adopted. Is there any information or support you can get from the NAS? I have a couple of friends whose daughters have basically not been able to cope with mainstream school environment although they are academically able. I know you have tried home schooling and I wonder whether the LA could be persuaded to review the EHCP placement and the suitability of her current school. She may need a much smaller environment and that’s why her anxiety is escalating. It was not the parenting as you say. I have a teen with autism. Thank you, she is currently in a small sen school, sadly they don’t appear to even be doing the basic autism stuff at the moment. Which is disappointing because they ticked all the boxes when we visited and chose them. We have request a review of her EHCP and a meeting has been arranged for a few weeks time. I’m hoping they will implement the key worker her EHCP specifies. She is also under Camhs so I’m going to speak to them about my concerns and see what they suggest.